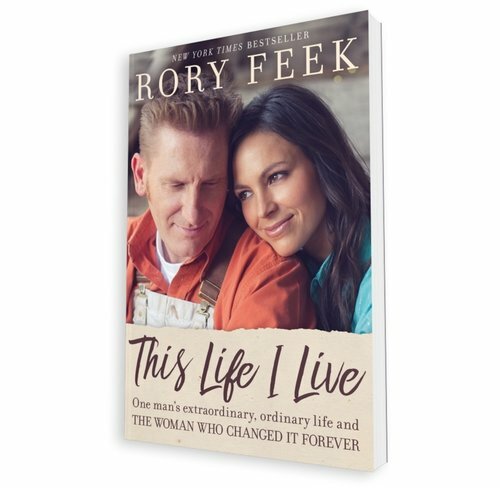 Joey and Rory Feek were enjoying a steadily growing fan base in country music when Joey was diagnosed unexpectedly with a rapidly spreading cancer. This vibrant and beautiful young woman would soon be on a unique journey for which no one is ever fully prepared. Her husband, Rory, and children, Heidi, Hopie, and Indiana, were beside her each step of the way. Rory, a prolific songwriter, entrepreneur, farmer, and overall tender man, has seen God bless his life in countless unexpected ways and had started a blog, thislifeilive.com, not really knowing its purpose other than he needed to write. That purpose soon became clearer when Joey’s cancer battle hit. By inviting so many into the final months of Joey’s life, this astounding couple captured the hearts of millions with their powerful love story, the manner in which they were handling the diagnosis, and the inspiring simple way they had chosen to live their lives.